Sussex Forklift Training are proud to be one of only a handful of abrasive wheel training companies in the UK who have been granted accreditation by the BAF. The BAF training accreditation scheme identifies and accredits only those organisations that conduct operator abrasives safety training to the highest possible standards and differentiate them from the less professional offerings. An abrasive wheel is usually defined as a wheel consisting of abrasive particles bonded together using organic or inorganic substances such as resin. 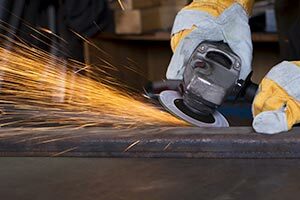 There is no substitute for thorough practical training in all aspects of the use of abrasive wheels. The abrasive wheel training requirements are specified in the HSE publication ‘Safety in the use of Abrasive Wheels’. Our training course is aimed at individuals, companies and employees who are required to use abrasive wheels as part of their job i.e. 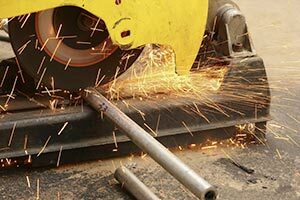 grinding wheels or cutting discs or who are responsible for their employees such as supervisors and managers. Sussex Forklift Training delivers courses which raises awareness in the dangers associated with operating bench mounted and hand held grinders. Any job specific or familiarisation training related to your line of work will also be included in the training course.